Monarch sits near the top of Monarch pass. The highway passes right through the site. Most of the site is now highway. The Madonna mine and other support buildings are still visible. Silver ore was discovered in 1878. One of the prospectors was NC Creede, for which Creede is named. 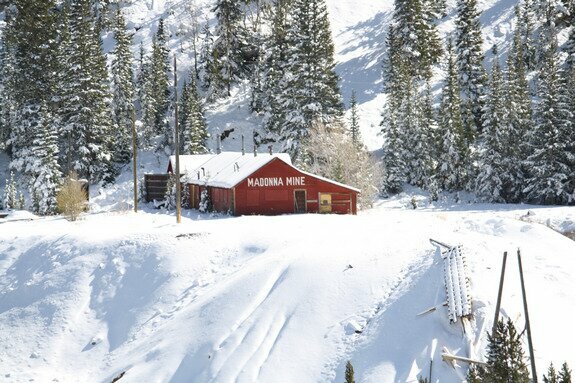 Originally named Chaffee City, it was changed to Monarch for the Monarch Mine nearby. Up to 30 carloads of ore was hauled daily to the smelter in Pueblo. 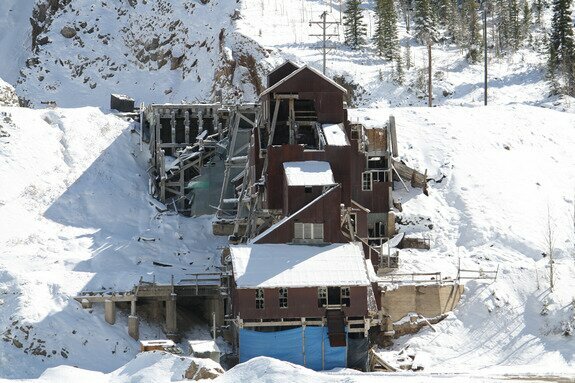 The Madonna Mine was purchased by the smelter in Pueblo and turned into an open pit mine. Since the open pit mining required little labor, residents mostly moved on. As such, ore was dumped right over the buildings and began to bury the town. Quarry operations continued until 1984, when the rails were removed. Today, some trucks still can be seen driving around the area - their purpose is unknown. Date Taken: 2009:10:23 13:32:18 Want to use this image? See the More information tab. Date Taken: 2009:10:23 13:34:11 Want to use this image? See the More information tab.